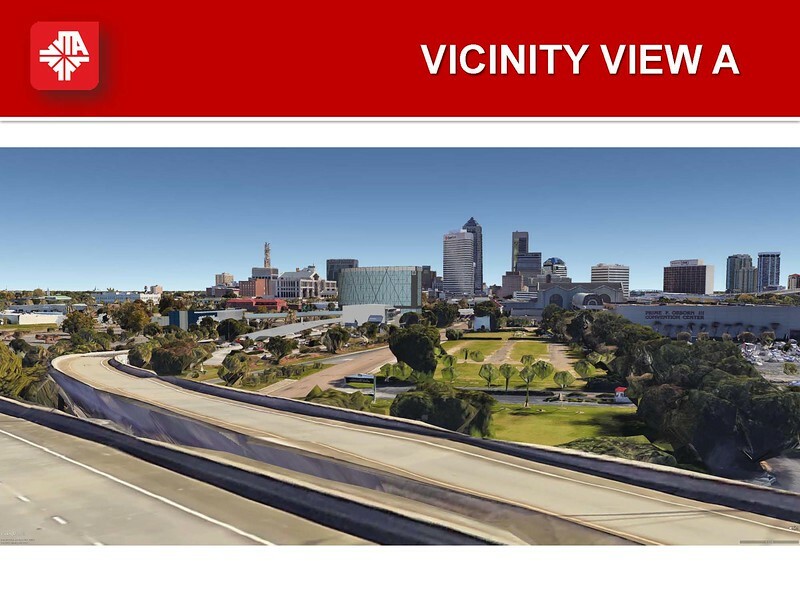 2017 is shaping up to be a transformative year for transportation initiatives throughout Jacksonville's urban core. 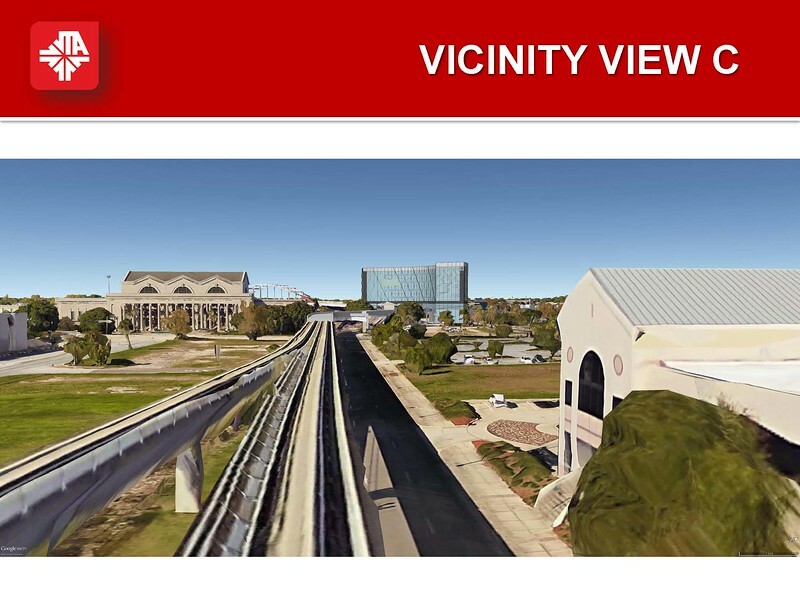 This week, the JTA will seek Downtown Development Review Board (DDRB) conceptual design approval for the heart of their long proposed Jacksonville Intermodal Center (JAXIS). 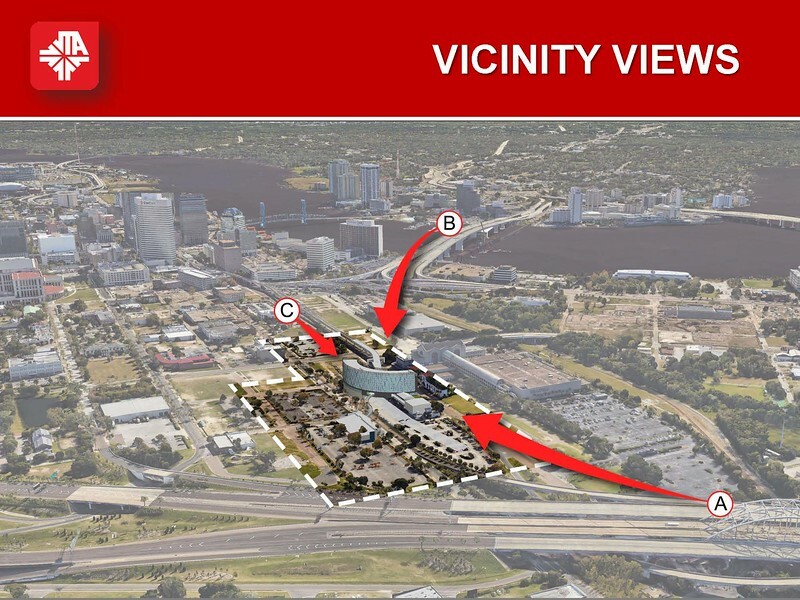 Here's a look at what will replace a sea of surface parking lots across the street from downtown Jacksonville's Prime Osborn Convention Center. 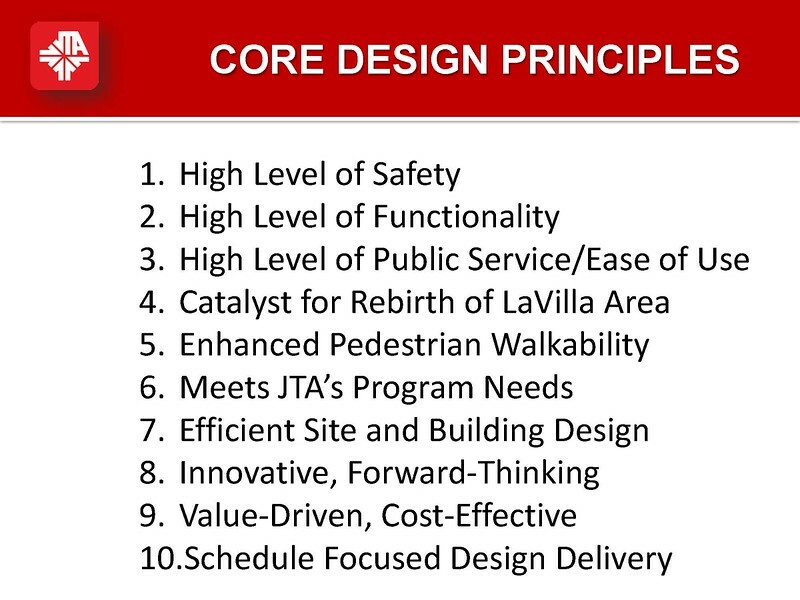 The JTA plans to begin construction on the first phase of the downtown transportation center in Winter 2017. 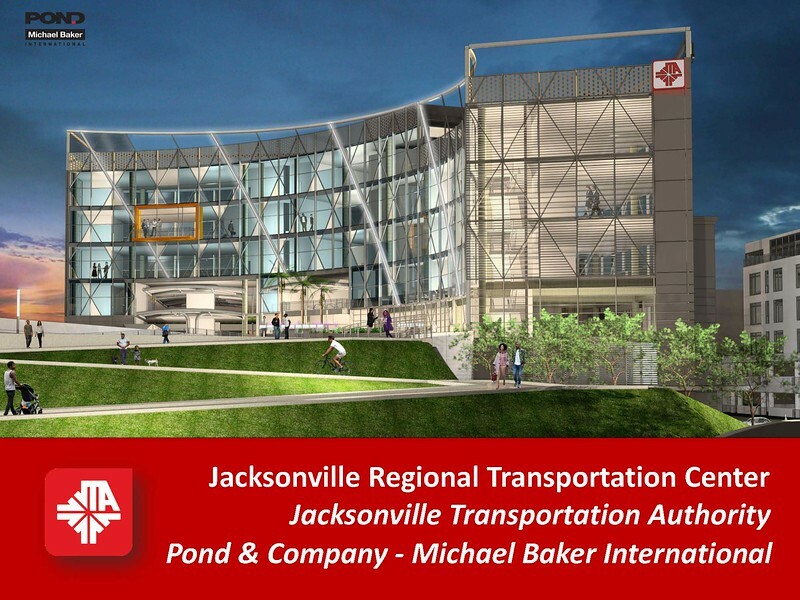 DDRB Application 2016-014 is before the DDRB seeking conceptual approval for the proposed Jacksonville Regional Transportation Center. 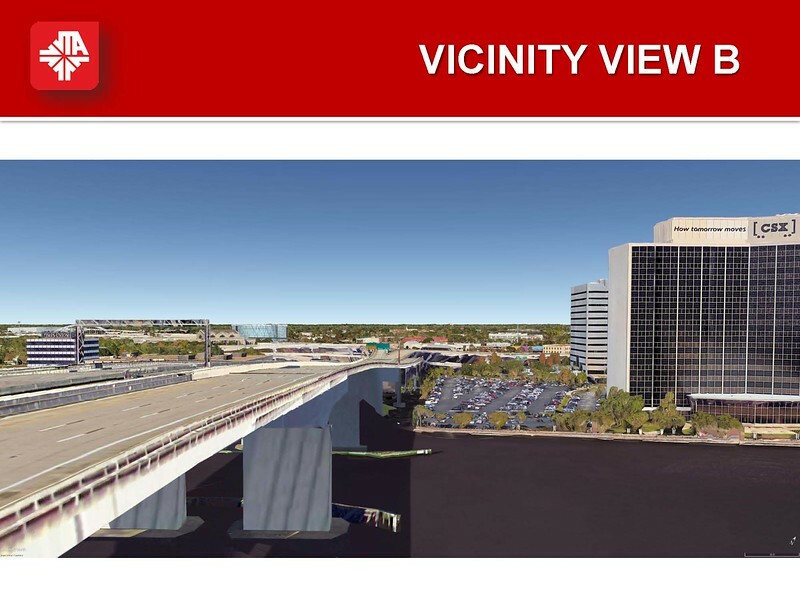 This project is the next phase proposed by the Jacksonville Transportation Authority as they proceed with planning transportation improvements. The JTA has made a number of presentations including workshops with the DDRB and general public. Presentations for this phase of development included a workshop at the DDRB meeting December 15, 2016. 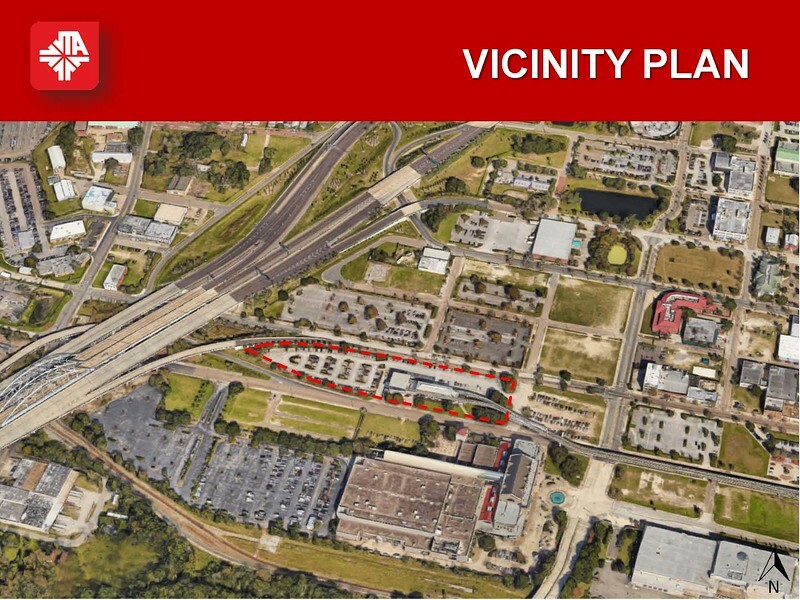 Previously, the JTA submitted and received approval addressing the relocation of the Greyhound bus station adjacent to this proposed development. 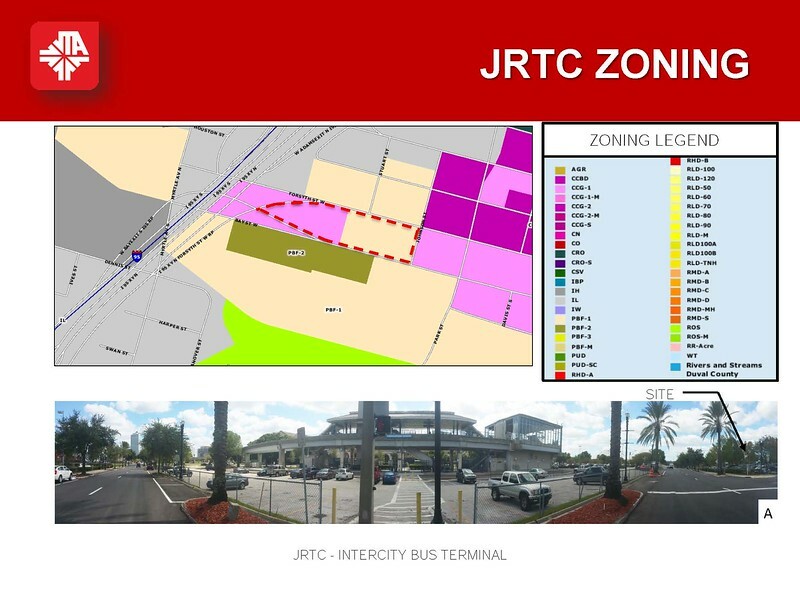 The Jacksonville Regional Transportation Center phase of development has frontage on Bay Street, Forsyth Street and Johnson Street and will include the proposed JTA Administration building, and Bus Transfer facility all of which is to be developed over and around the existing Convention Center Skyway Station. The data submitted with the application indicates the proposed building will have an overall height of approximately 100 feet and will contain approximately 177,000 square feet (presently 4 stories). 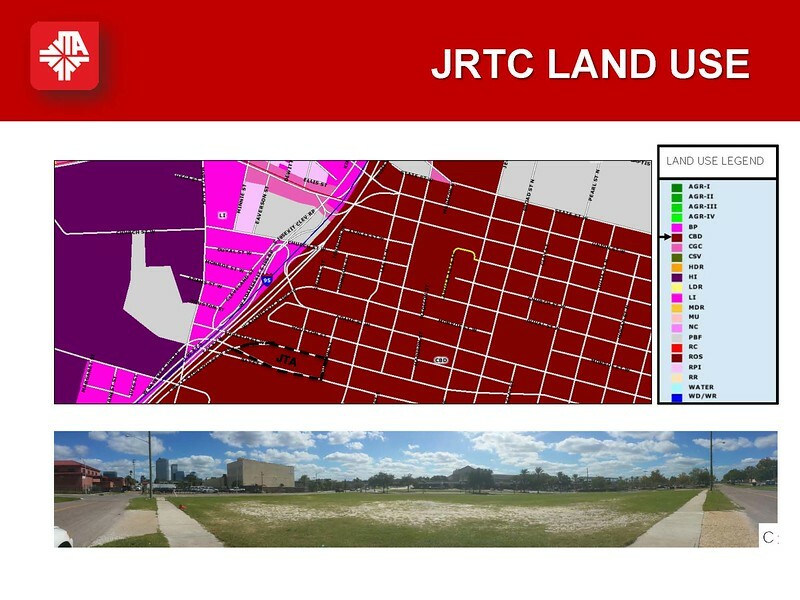 The applicant is requesting DDRB Conceptual Approval of JRTC (Jacksonville Regional Transportation Center) phase of the master plan.